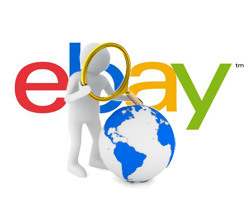 Hugh Williams, eBay's vice president of Experience, Search and Platforms, hosted a webinar June 5 to discuss how eBay's search engine works and introduce its upgraded model, Cassini. Early this year, eBay began gradually introducing components of Cassini, and the long-awaited search engine redesign is expected to be fully rolled out on eBay.com by the end of the year. For more than 10 years, eBay search queries have been managed by Voyager, named after the two Voyager space probes, which recently left our solar system. Like the spacecraft, it's old but impressive, Williams notes. "It's served us very, very well, and it's the thing that today powers most of the search scenarios that you see on eBay.com and across our sister sites across the world," he adds. Since its debut in 2002, eBay's Voyager has been powering several functions on the platform in addition to search queries. Today, it serves about 112 million active sellers and buyers worldwide, and runs 250 million search queries in 400 million active listings every day. "There's a lot of behind-the-scenes work that goes into producing each of the pages that you see on eBay," Williams reports. Keep in mind this is a global service, which means Voyager has to be multilingual, and find a way to connect buyers and sellers of different languages. This is where some problems exist for the engine. The team at eBay wants to have an engine that can match, for example, a query typed in Russian to a product listed in English, and translated back to Russian. "We're very, very passionate about global commerce, and enabling customers to connect to each other across the globe," Williams says. Another obstacle the team must manage is use of keywords and terminology. A buyer may type a query for "GB," while a seller may list an item with "gigabyte" in the title. Or one person may be looking for a notebook, but a seller may list his as a laptop. Williams' search team invests a lot of time working with the different ways people describe units of measurement, colors, synonyms and abbreviations, not to mention spelling errors. "What we're trying to do is to make sure that even if you use different ways of expressing the same things as a buyer or seller, that we match those together," he says. While his role is to provide users with a remarkable technology that can keep up with today's commerce, Williams notes the responsibilities sellers have in order to produce a successful transaction. There are three primary steps to making a sale, he reports. First, your listing needs to show up in a search query. Then the buyer must be compelled to click on your listing and, finally, be willing to make the purchase. Behind the scenes, Williams is making sure Voyager produces relevant results based on what the user is expressing in his query. This "search recall" is driven primarily by keywords in the title and listings that are adopted into eBay's catalog. After the initial query, buyers often refine the search using the navigation on the left bar, or by refining their search terms. For listings to survive the refinement process, sellers must list their items in the most appropriate category(s), add item specifics (color, brand, size, etc. ), and note the item condition (new, used, refurbished, etc.). Meanwhile, Voyager organizes these queries from most relevant to least relevant, Williams says. This produces the "Best Match" results page. He adds there are three things buyers most often base decisions on: trust, value and relevance. Buyers want a great experience with the seller, which includes shipping, ability to make returns, and whether the seller is trustworthy. Being a Top-rated Seller adds credibility to a seller, and eBay rewards its Top-rated Sellers with a boost in Best Match. Next, shoppers want a great deal on price and shipping, and when they run a query, they want the relevance ranked appropriately. After a buyer has narrowed the search results and found listings relevant to her needs, one of the most important aspects to compel buyers to click on your listing is a great photograph. "One thing we've learned over the last few years is that great pictures really matter to our buyers," Williams says. "The sellers who are providing higher resolution pictures, pictures without graffiti, pictures without borders, and really great photographs of the items they want to sell are getting more clicks." A definitive title and competitive price point are also highly important for sellers. Since the marketplace changes daily, sellers must carefully watch their competitors' prices to continue generating buyer interest. One final responsibility a seller has to close the sale is to provide comprehensive item descriptions. "Our buyers really do take their time to study the descriptions that sellers provide," Williams says. Clear, structured descriptions will also become one of the top priorities for sellers very soon, when Cassini retires Voyager. Cassini, like its predecessor, is named after the Cassini-Huygens probe launched in 1996. While this new search engine is much like the old one, it's modern, fast and competitive, with some added features. Williams explains one of the more exciting features of Cassini is its ability to search item descriptions. This means sellers won't have to rely on titles for visibility. They can build short, relevant listing titles and place their keywords in the description section. The upgraded search engine has already been integrated in North America for completed listings, null and low results, and is being tested in some areas for active items. Full integration in North America is expected within the next couple of months, and by 2014 internationally. The goal is to gently replace Voyager with Cassini by mimicking its behavior, Williams says. eBay wants to retire Voyager without folks noticing. One final note Williams makes is that sellers should focus on buyers' need for trust, value and relevance. Search software and shortcut strategies change often, so sellers should not try to figure out how to work around algorithms to produce better sales. Instead, Williams suggests sellers ask themselves the following three questions: How can I be a more trusted seller? How can I offer great value? How can I deliver relevant listings? "We want everybody who's offering great trust, great value and great relevance to be on a level playing field and have an equal opportunity to sell on our marketplace," he notes. Cassini is expected to help the team at eBay deliver the experience buyers want, and reward sellers who do a great job. I'm excited for this change and understand the opportunity this will provide for both buyer and seller. Building trust and value is the key ingredient for ecommerce. Sellers, buyers wrestle over the new service's pros and cons.